Is it me or is everyone loving Helmut Lang's latest collection? Love, love, love. This little guy will be added to my Fall/Winter closet very soon. That looks so cozy but put together! Great find. Yes please! That jacket looks divine - perfect for a chilly fall day! Wow, this dress really looks great! 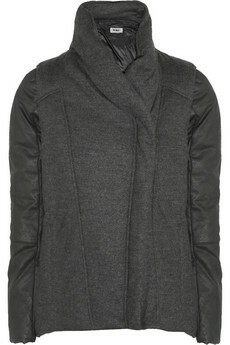 How I love Helmut Lang! This piece is just amazing!